China is progressing toward the country’s first logistics mission set for liftoff in April to demonstrate a critical component of the long-term operation of China’s Space Station that is being readied to begin deployment in 2018 with the launch of the Tianhe Core Module that recently finished construction. The Tianzhou-1 mission, set for liftoff in mid-to-late April, will mark a critical step in validating China can send supplies and fuel to its future orbiting outpost to keep it operational beyond the initial batch of supplies carried by the modular space station. Tianzhou-1 will launch from the Wenchang Satellite Launch Center atop a Long March-7 rocket, marking the second mission of China’s future workhorse rocket that debuted last year and will eventually support both, cargo and crew launches to the Chinese Space Station (CSS). China provided new details on the Tianzhou shakedown flight on Saturday, outlining a five-month mission of which three months will be spent in free flight and two docked to the Tiangong-2 miniature space station to demonstrate the endurance of the cargo craft. 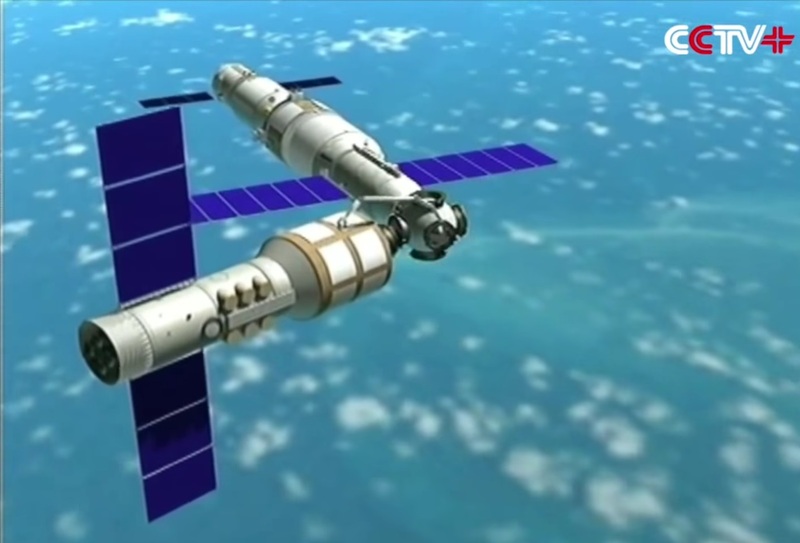 Over the course of the mission, Tianzhou will dock to Tiangong-2 three separate times and complete a refueling demonstration during each of the docked increments. The mission will also test out a fast rendezvous procedure similar to that used by the Russian Soyuz and Progress spacecraft to shorten the time crews and cargo spend in transit to their orbital destination. 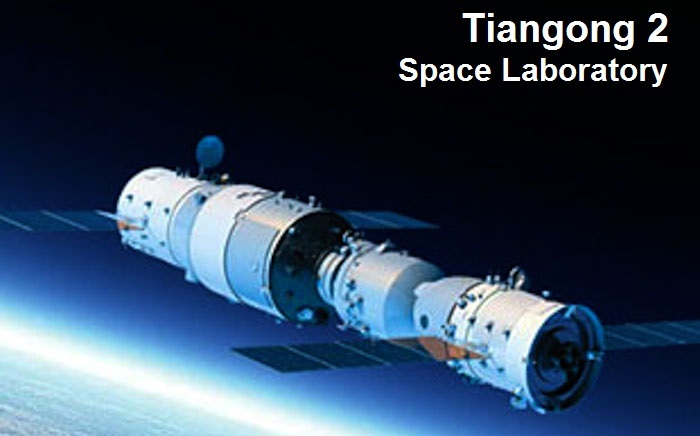 The Tianzhou cargo spacecraft is based on the design of the Tiangong-1 and 2 modules used by China in a stepwise process to learn the tools and techniques needed in the operation of a long-term outpost in space, both from a technology and human factors point of view. 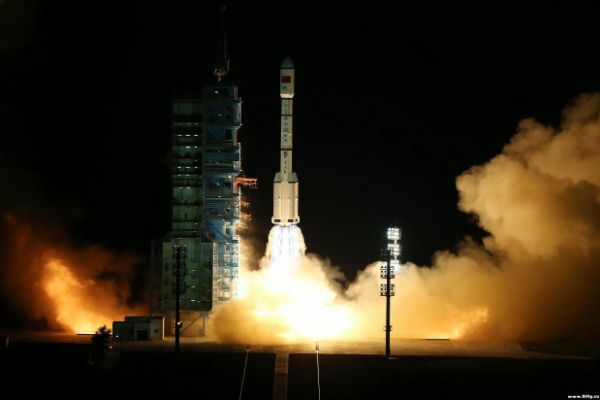 The cargo vessel is ten meters long and has a launch mass of around 13,500 Kilograms when filled with a full cargo complement, making it much heavier than the eight-metric-ton Tiangong modules that were limited by the performance of the Long March 2F launch vehicle. Tiangong-2 was designed to test the long-term performance of life support systems and, together with Tianzhou-1, demonstrate refueling and resupply technology that represents a critical step toward the realization of CSS. 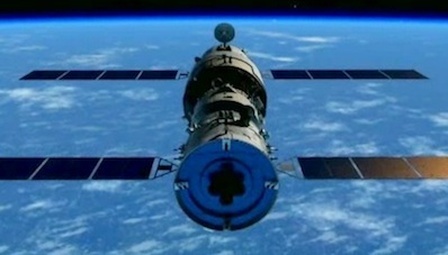 The Tiangong-2 space lab hosted two crew members late last year flying to the complex aboard the Shenzhou-11 spacecraft and setting a record for China’s longest crewed space mission to date at 33 days. 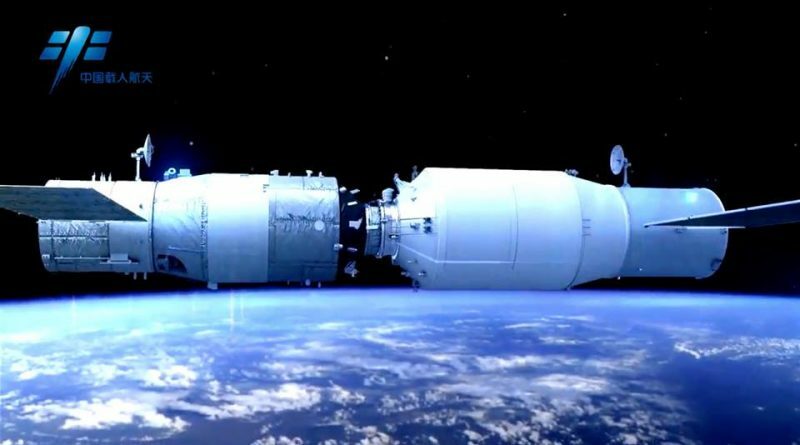 Separating from Tiangong-2 at the end of the demonstration mission, Tianzhou-1 will complete a deorbit burn for destructive re-entry over the ocean. 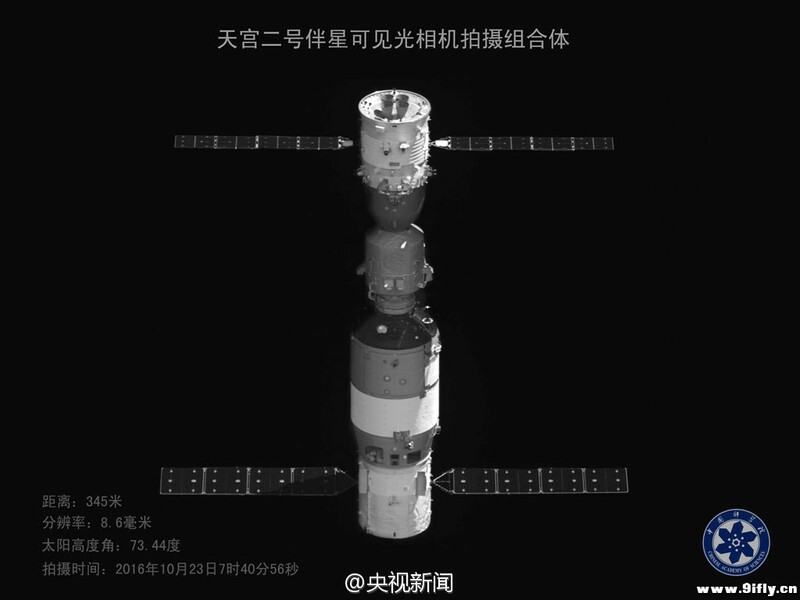 With its tanks topped up, Tiangong-2 will remain in orbit for several years, operating a series of experiments and fulfilling a long-term demonstration of its various systems. The Tianzhou-1 spacecraft was delivered to the Wenchang Satellite Launch Center in mid-February to enter final processing to have its individual modules assembled and complete propellant loading for its long-duration demo mission. Footage of the craft’s processing campaign showed a fairly spacious interior with cargo racks installed on all sides of the vehicle. 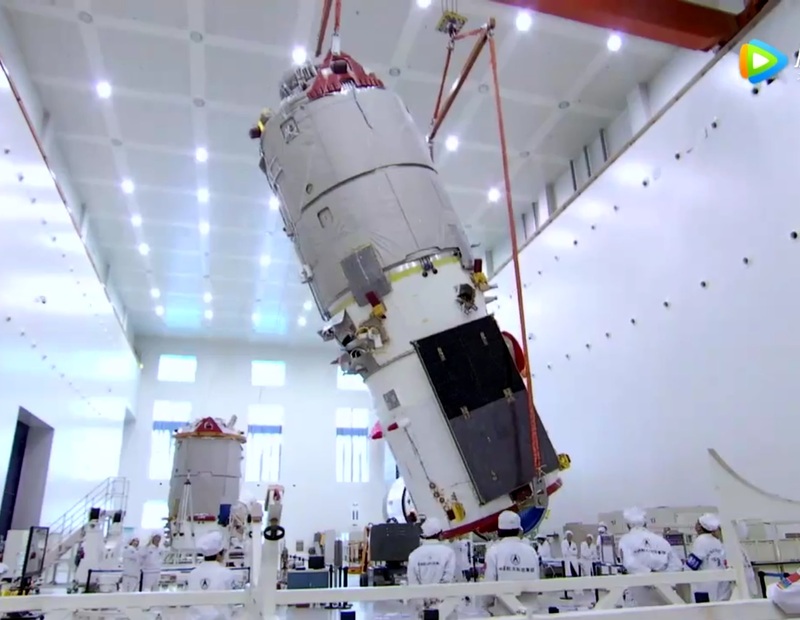 Although no cargo will be physically moved from Tianzhou-1 to Tiangong-2, the mission likely flies dummy payloads to simulate the mass characteristics of an operational vehicle and it also provides an opportunity to rehearse cargo loading techniques. The components of the Long March 7 rocket were shipped from their production plant in Tianjin on Friday to travel via ship to the launch site on Hainan Island. 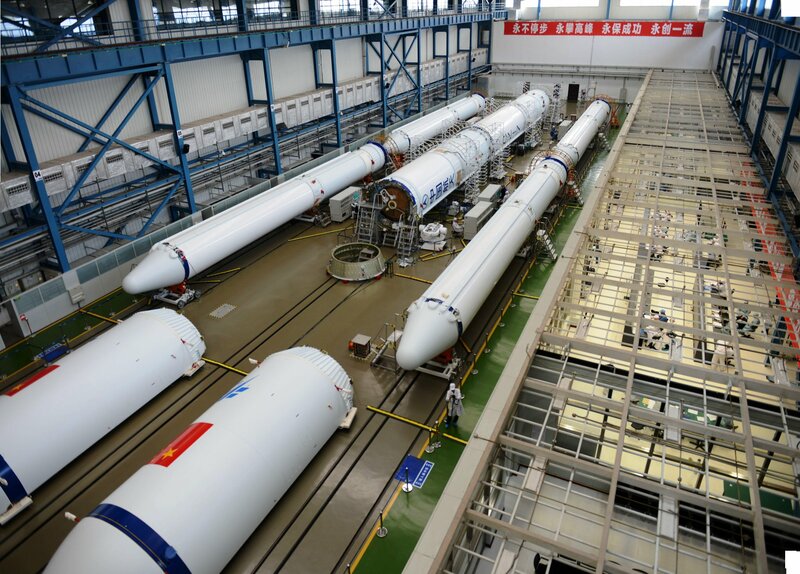 Once at the launch base, Long March 7 will be assembled by installing the 26-meter tall first stage on the launch table, clustering the rocket’s four liquid-fueled boosters around the core and adding the second stage responsible for lifting Tianzhou-1 into Low Earth Orbit. An exact date for the TZ-1 mission has not yet been released. 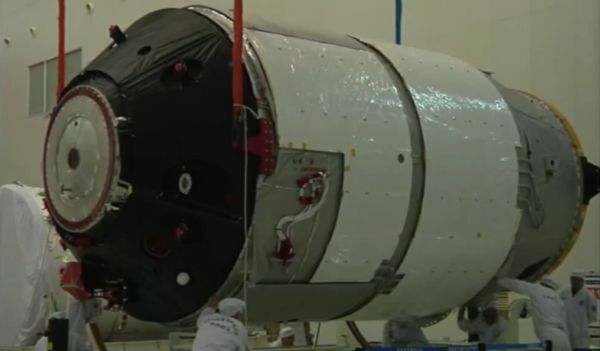 China also announced this week that construction of the Tianhe Core Module of the country’s space station had finished, allowing the 20-metric-ton module to enter pre-flight testing ahead of a 2018 liftoff atop a Long March 5 heavy-lift rocket. 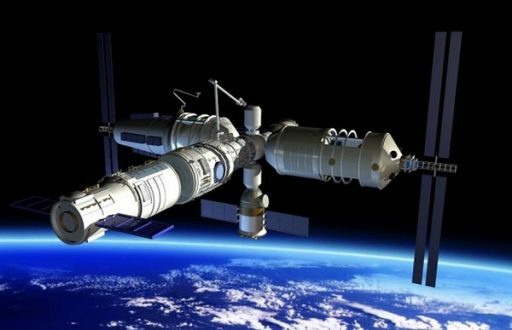 Tianhe houses the core systems of the Chinese Space Station and will be joined by two 20-tonne laboratory modules over the course of a four-year assembly phase lasting until 2022 when the complex will officially open for business. The Tianhe module hosts a number of critical systems including an advanced life support system with water recycle capability to support long-duration crew missions. The two laboratory modules, called Wentian and Mengtian, will also launch atop Long March 5 rockets and, in total, a dozen missions will be required before CSS can operate at full capacity including crewed launches with Shenzhou and Tianzhou cargo missions to deliver outfitting materials to the complex. Assembly of the station will be accomplished by having a newly arriving module dock to one of the axial ports on Tianhe before being moved by a robotic arm to a radial docking port. The robotic system of the CSS is known as the Chinese Space Station Manipulator system (CSSM) and will comprise two arms, a 10.5-meter Core Space Station Cabin Manipulator and a smaller Experimental Space Station Cabin Manipulator that will be 5.5 meters long. The two will either work together as a combined system or independent of one another. China’s Space Station will orbit the Earth 393 Kilometers in altitude and crews are expected to stay aboard the complex for six months at a time, similar to the crew rotation employed by the International Space Station that is due for retirement in the mid-to-late 2020s. China is also developing the Xuntian Space Telescope for launch around 2022 to enter an orbit similar to that of CSS to be able to link up with the complex when repairs on the telescope are needed. Xuntian will host a two-meter primary mirror and achieve a resolution on-par with Hubble, but image the star-filled sky across a field of view 300 times larger than that of Hubble.